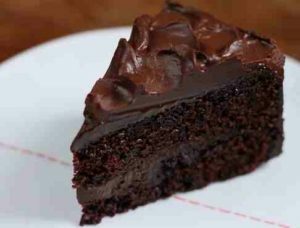 Every dark chocolate lover will love the bitter-sweetness of this moist chocolate cake made even more decadent by the rich dark chocolate frosting. Here is an easy dessert recipe for Special Dark Chocolate Cake. Preheat oven to 350°F (175°C). Grease and flour a 13x9x2-inch baking pan. In large mixer bowl, combine chocolate chips, butter and boiling water. Stir with spoon until chocolate is melted and mixture is blended. 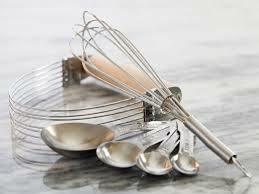 Gradually add flour, sugar, sour cream, eggs, baking soda, salt and vanilla; beat on low speed of electric mixer until smooth. Pour batter into prepared pan. 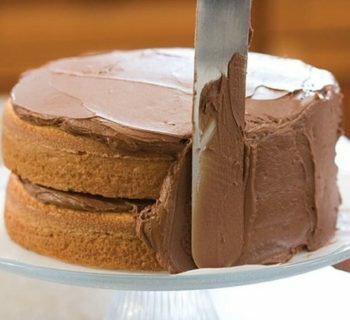 Bake 35 to 40 minutes or until wooden pick inserted in center of cake comes out clean. Cool completely in pan on wire rack. 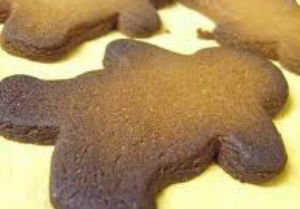 Meanwhile, make the dark chocolate frosting. Place butter and chocolate chips in medium microwave-safe bowl. Microwave at HIGH (100%) 1 minute; stir. If necessary, microwave at HIGH 15 seconds at a time, stirring after each heating, until chips are melted and mixture is smooth when stirred. Gradually beat in powdered sugar, milk and vanilla, beating until smooth. If necessary, refrigerate 5 to 10 minutes or until of desired spreading consistency. Makes about 1 2/3 cups frosting. Spread dark chocolate frosting on top and sides of cooled dark chocolate cake.